I am a big advocate for skin care but not rushing to say I have the perfect skin. In fact, I am continually struggling with dark marks and occasional breakouts. However, to minimize my skin problems I have discovered the perfect routine of products that work for me. These products have been my go to skin care products for a while now and I am yet to be disappointed. 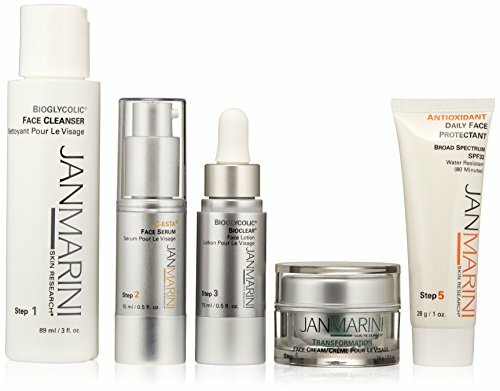 Let me start with the Jan Marini complete facial system which was introduced to me by an esthetician. I buy the travel size since I travel quite often but it does last a while for as long as an average of three months. This product is easy to use and the fact that everything is pre-packaged and numbered for you helps a ton. It is also non-irritating so it’s safe even on sensitive skin. I also found a new love for the Peter Thomas Roth Mask collection and I can decide to use any mask based on the condition of my skin at that particular moment. For instance, if I feel the need to exfoliate more, I use the pumpkin enzyme mask which is a powerful and highly effective exfoliating treatment that addresses a dull, aging, and congested complexion. On the other hand, if I feel that my skin looks irritated, I use the cucumber mask to help soothe, hydrate, and detoxify my dry and irritated skin. A good thing about these products is that from the samples, you can find out the purpose for each mask so that you choose the one you think your skin needs upfront. Aside from these products I also receive facial treatments via an esthetician to direct and confirm my skincare routine because it can change based on environment and other factors. If you use these products feel free to share your experience.